Old Fashioned Zucchini Cake with Cream Cheese Frosting ~ a classic that’s a classic for a reason, this moist zucchini walnut cake is delicious even without the generous layer of fluffy cream cheese buttercream! Some people can’t control themselves around ice cream, others have issues with chocolate…for me, it’s old fashioned zucchini cake with cream cheese frosting. If nobody is watching I might will eat the whole pan. 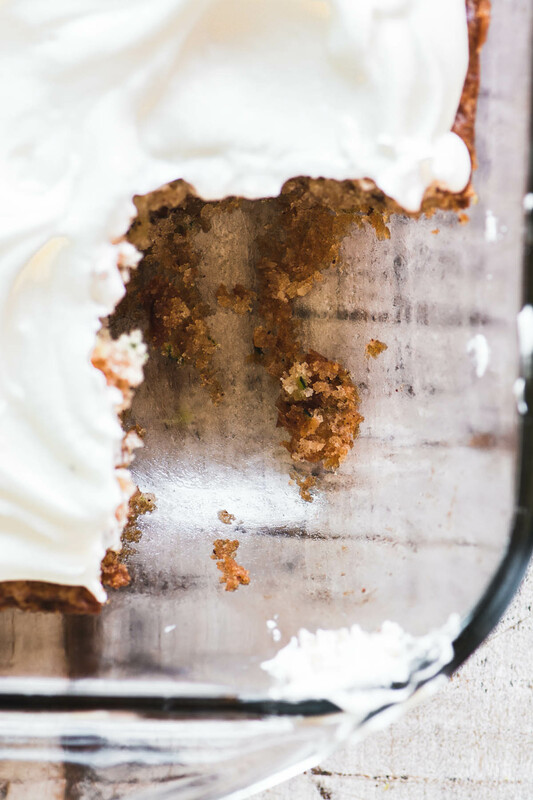 A zucchini sheet cake is a welcomed sight at any time of year, it’s one of those one size fits all desserts ~ wherever hungry people are gathered, zucchini cake just works. And anyway, who doesn’t like to grate zucchini? 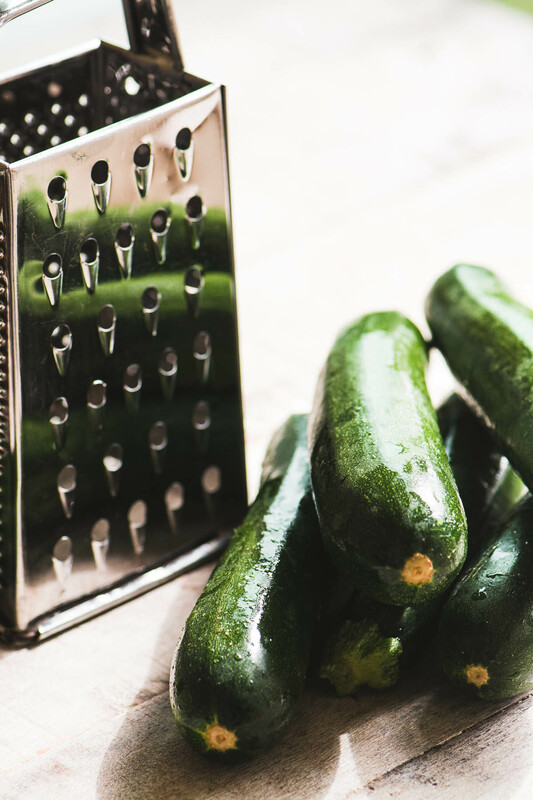 Unlike those knuckle busting nuggets of Parm, zucchini slides across the grater with ease and before you know it, you’ve got a big pile of feathery green shreds. I like to use small zucchini when I bake because the extra peel equals more color and flavor. Large zucchini with their vast white interiors can be bland and watery. 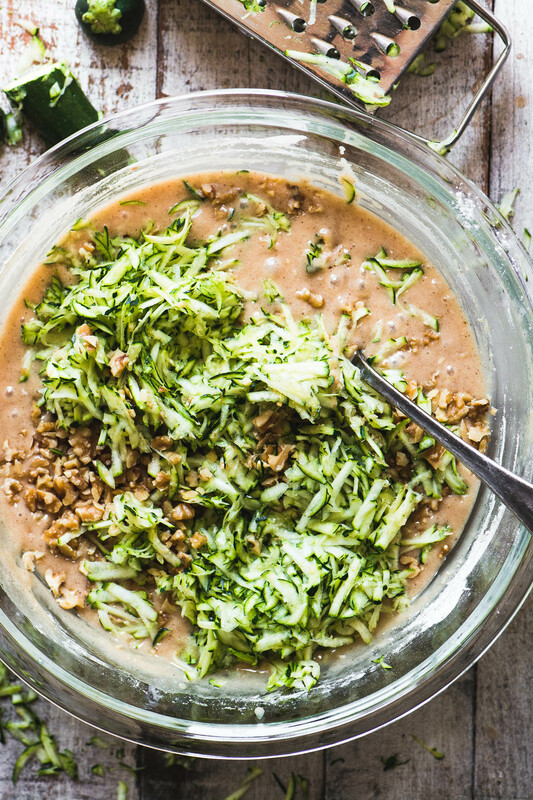 Fold in a couple of cups of shredded zucchini into the simple batter, along with a cup of nuts. I think walnuts are key to a great zucchini cake, but you can absolutely leave them out if you like, or substitute pecans. 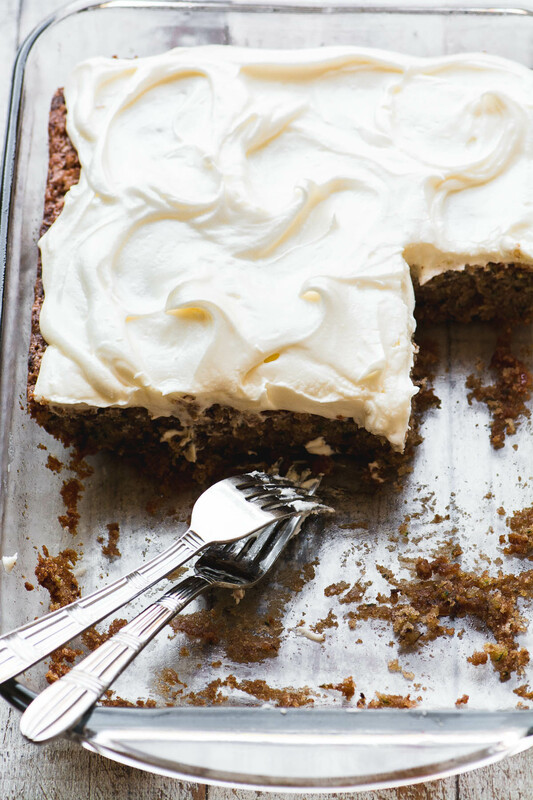 The crowning glory of this zucchini cake is the tangy cream cheese buttercream frosting. It’s made with softened cream cheese, softened butter, sugar, vanilla, and a squeeze of fresh lemon. Gob. it. on. Moist zucchini cake keeps well, but because of the buttery cream cheese frosting I would refrigerate it if you plan to keep it for more than a day. 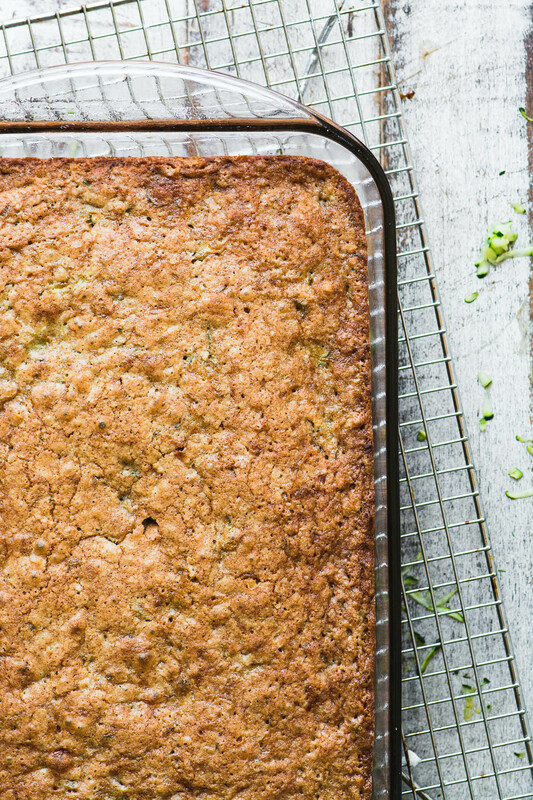 This luxe zucchini cake knocks it out of the park, I hope you give it a try, and be sure to let me know how it goes in the comments! 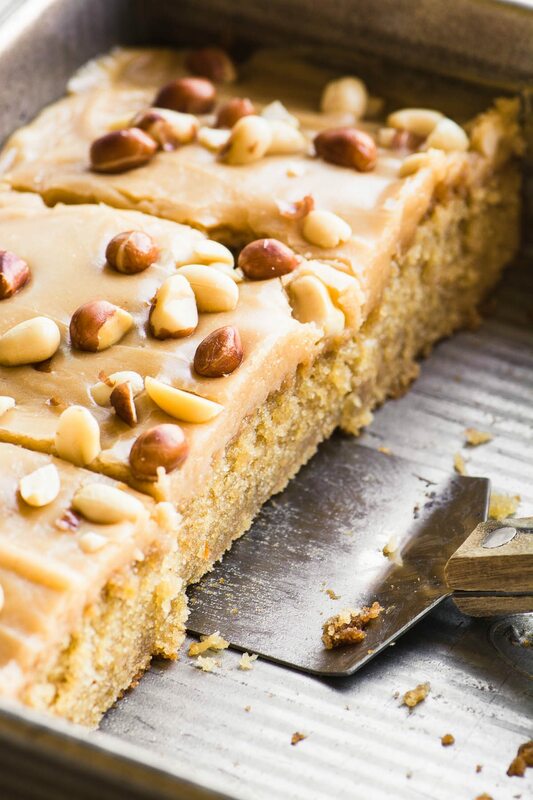 My Old Fashioned Peanut Butter Cake has been one of the most popular cakes on the blog this summer and I’m not surprised, it disappeared from my kitchen in record time…I think it has something to do with that thick caramel frosting. 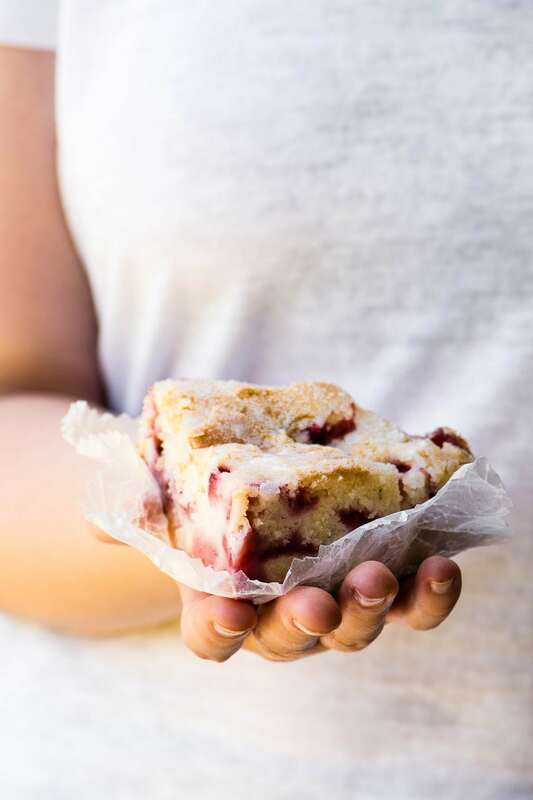 Strawberry Buttermilk Cake ~ this simple cake can be changed up with different fruits, and has become another reader favorite. 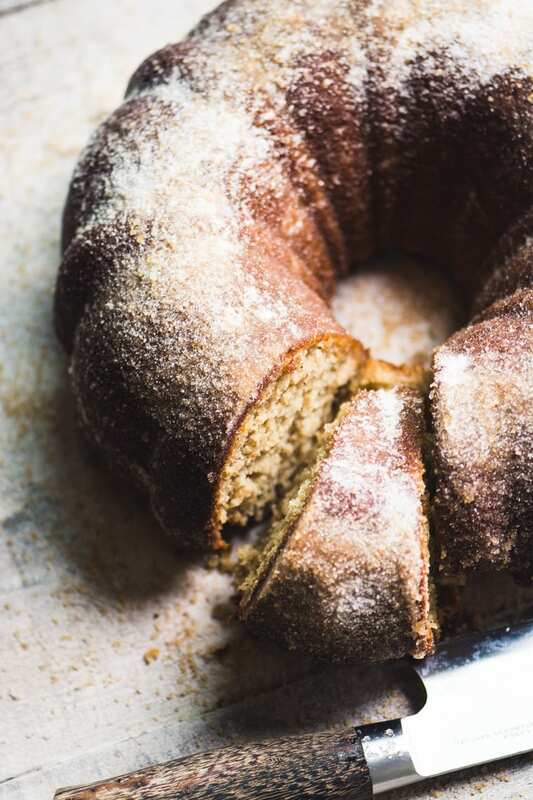 Apple Cider Doughnut Cake ~ is it fall yet? Because I can’t wait to make this pillowy soft bundt cake again. Old Fashioned Zucchini Cake with Cream Cheese Frosting ~ a classic that's a classic for a reason, this moist zucchini walnut cake is delicious even without the generous layer of fluffy cream cheese buttercream! Preheat oven to 350F Spray a 9x13 pan with cooking spray. In a large mixing bowl whisk together the oil, sugar, eggs, buttermilk, vanilla, and cinnamon until smooth. Toss together the flour, baking soda, baking powder, and salt, and add the bowl. 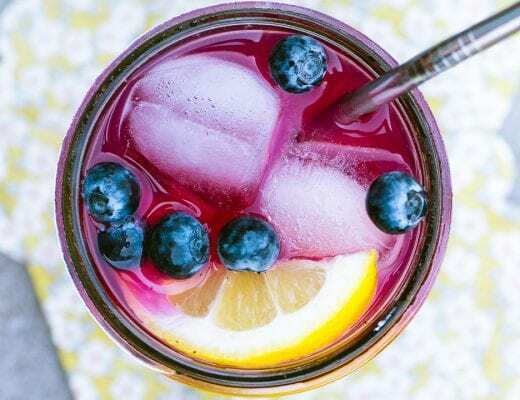 Mix just until completely blended. Fold in the zucchini and the nuts. Turn the batter into your prepared pan and bake for about 40 minutes, or until a toothpick comes out without wet batter clinging to it (moist crumbs are fine.) Some ovens run hot or cool, so check carefully. 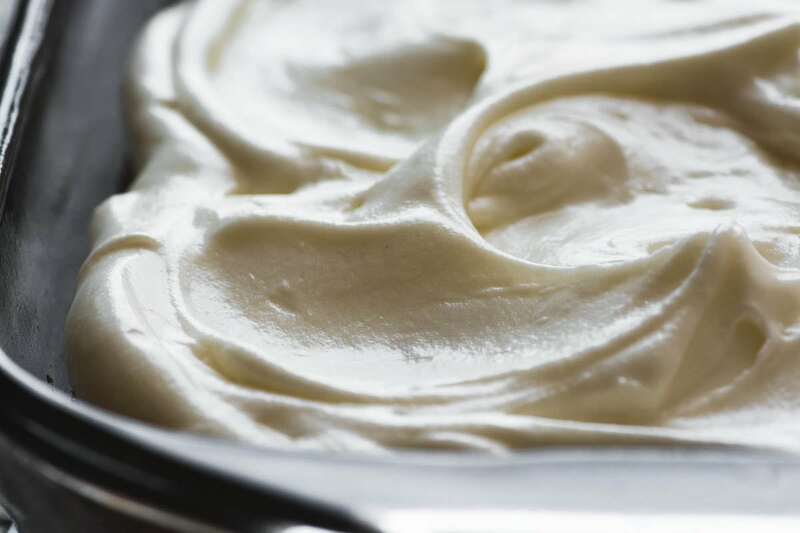 To make the frosting beat the cream cheese and butter together until fluffy. Add the lemon juice and the sugar, one cup at a time, while beating. Scrape down the sides of the bowl as necessary. Add more sugar if the frosting is too thin, and a little more lemon juice or milk if it is too thick. Do you think it would taste okay to substitute golden raisins for the walnuts? Can i use something in place of the buttermilk? I think i saw yrs. ago how u can add something to regular milk to make it like buttermilk…do u know how i could do this? Not a fan of buttermilk, but would love to make this cake. Thanks for help. You can add 1 tsp of lemon juice or vinegar to a cup of milk to make a quasi buttermilk. Let it sit for 15 minutes before using. But you can use regular milk as well, it won’t be a problem. I look forward to trying this. 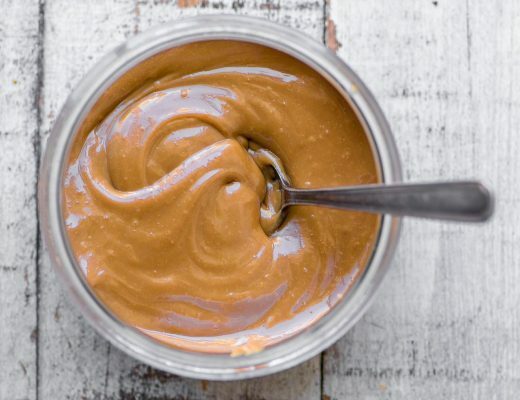 Can the oil be split with half unsweetened applesauce and for a different flavor, may unsweetened cocoa be added for a chocolate version? If so, about how much. Thank you for sharing! I think you can make the applesauce substitution without a problem Elizabeth. And I’m guessing you could substitute cocoa powder for an equal amount of flour. I’d start with maybe 1/3 ~ 1/2 cup cocoa? 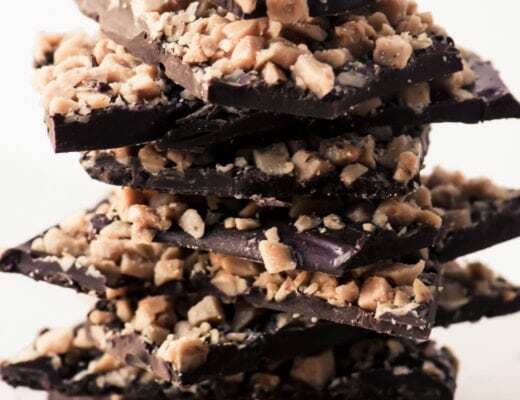 (maybe even add some chocolate chips.) Sounds like a nice idea! 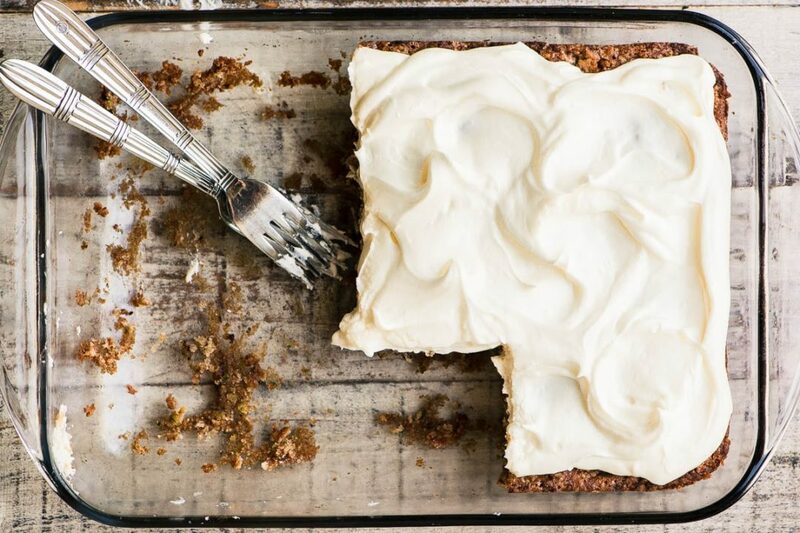 Bring on the zucchini cake (and all the swirls of frosting!!). Wish I’d known about this recipe years ago when we grew so many zucchini we fed them to the hens! Sent my husband to the farm stand today to buy some just to try this recipe! Sounds delicious! this is the BEST cake! only change i made was to brown the butter for the frosting and used toasted nuts in the cake and on top! thanks for the great recipe!! You’ve made it even better! Thanks Laura ~ I love the idea of serving this cake and then sending your guests home with the zucchini to make it, I’m glad it was a hit. Grabbing my zucchini today at the local farm stand!! Happy weekend Sue! I think you and I could fight over this cake, Sue! It looks crazy delicious with that thick, beautiful layer of fabulous icing. But if you invite me over for zucchini cake I promise I will try to behave. 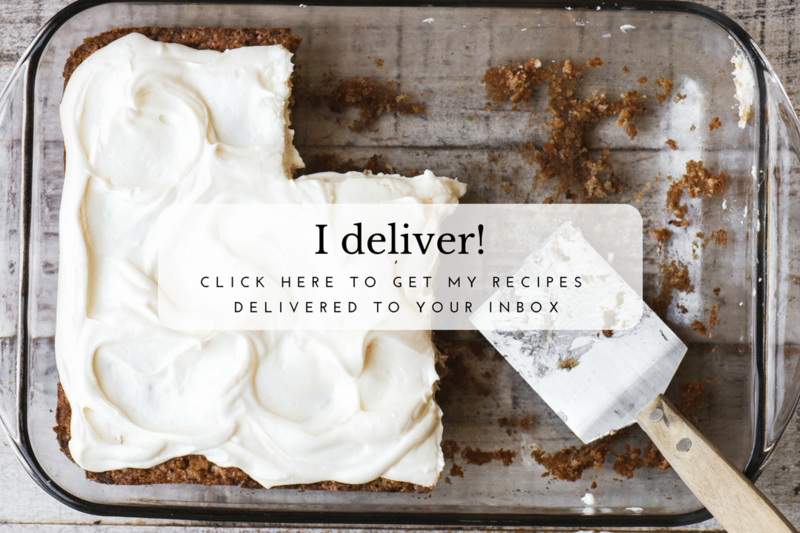 I love this zucchini cake and the cream cheese frosting sounds wonderful! I am making this cake this weekend – thanks for the recipe !! You can definitely use pecans, Darlene, if you aren’t allergic to them, and of course you can leave the nuts out altogether without any problem…enjoy your harvest!! I am only getting a few zucchinis from my plant but I don’t mind buying some to make this delicious looking cake. Pinned! Perfect for the zucchini season! The cake looks marvelous with that silky smooth frosting. This makes me want to plant more zucchini just so I can make this wonderful cake. I bet it is so moist and tasty. Have a lovely weekend Sue!